Supreme Court To Weigh In: Is Your Forum Selection Clause Enforceable? The United States Supreme Court has taken the unusual step of choosing to weigh in on a construction dispute involving a Virginia forum selection clause. Forum selection clauses generally provide that disputes must be litigated in a particular place. They are common in construction contracts where contractors often travel a significant distance to find work and prefer to the extent possible to have disputes resolved closer to home. In its next term, the Supreme Court will hear arguments regarding the enforceability of a forum selection clause stemming from a payment dispute between a Virginia general contractor and a Texas subcontractor working on a federal construction project in Texas. In re Atlantic Marine Construction Company, Inc. involves a dispute concerning the construction of a child development center at Fort Hood, a military base in western Texas. After the general contractor failed to pay for work performed, the subcontractor filed suit in federal court in Texas ignoring a forum selection clause requiring that any disputes be litigated in Virginia. The general contractor asked the court to dismiss the case or transfer it to Virginia based on the contract language. The federal court in Texas, and federal appeals court, rejected the general contractor’s attempts to enforce the clause. The courts reasoned that a decision to transfer venue requires consideration not just of the parties’ desires expressed in their contract, but also the overall convenience to the parties and witnesses, and the interests of justice. The courts concluded that if the forum selection clause was enforced, and the matter was transferred to Virginia, the parties would be unable to secure witnesses for trial since most, if not all of them, were located in Texas. The Supreme Court granted certiorari to resolve whether this type of balancing-of-conveniences approach is appropriate under the federal venue transfer laws, as well as other issues related to enforcement of forum selection clauses. The court’s decision in Atlantic Marine is expected to provide guidance on how heavily parties can rely on such clauses. My prediction: the Supreme Court will follow a number of state courts that decline to enforce forum selection clauses when they place a substantial inconvenience on the parties. It’s likely that the Supreme Court will schedule oral arguments for the fall, with a decision following in spring 2014. Stay tuned to On Solid Ground for further updates. This entry was posted in Construction, Contracts, Uncategorized and tagged Forum Selection Clause, Litigation, U.S. Supreme Court. Bookmark the permalink. 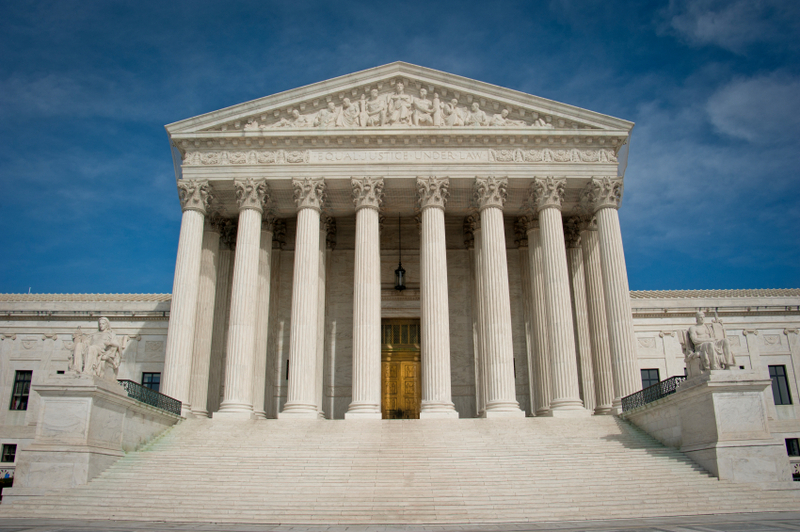 2 Responses to Supreme Court To Weigh In: Is Your Forum Selection Clause Enforceable?